The Iran-Contra Scandal: The Declassified History provides the 101 most important documents on the policy decisions, covert operations, and subsequent cover-up that created the most serious constitutional crisis of modern times. To enhance this documentat ion, the editors provide contextual overviews of the complex components of the Iran-Contra operations as well as glossaries of the key players, and a detailed chronology of events. The result is a unique guide to the inner workings of national security policymaking and the shadowy world of clandestine operations--a singular resource for understanding the Iran-Contra affair and the gravity of the government crisis it spawned. "The documents," writes noted Iran-Contra scholar Theodore Draper in the foreword, give the reader "an intimate sense of how the president and his men manipulated the system and perverted its constitutional character." This volume "allows the facts to speak for themselves." Primary source material, such as the documents in this volume, are often all that is left to study as memories fade and the actual events disappear from the news and become part of history. Now students and scholars have a chance to understand the national security decision-making process through the documents that they were never meant to read. 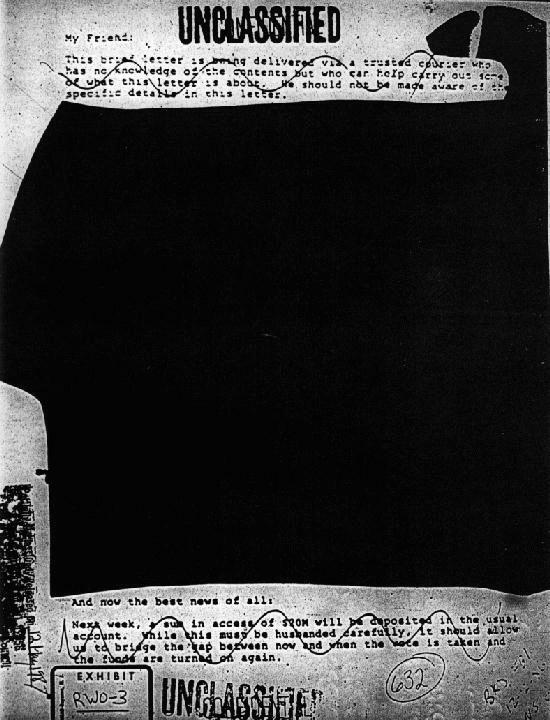 Letter from Oliver North to Adolfo Calero. Initial release by White House is heavily excised. 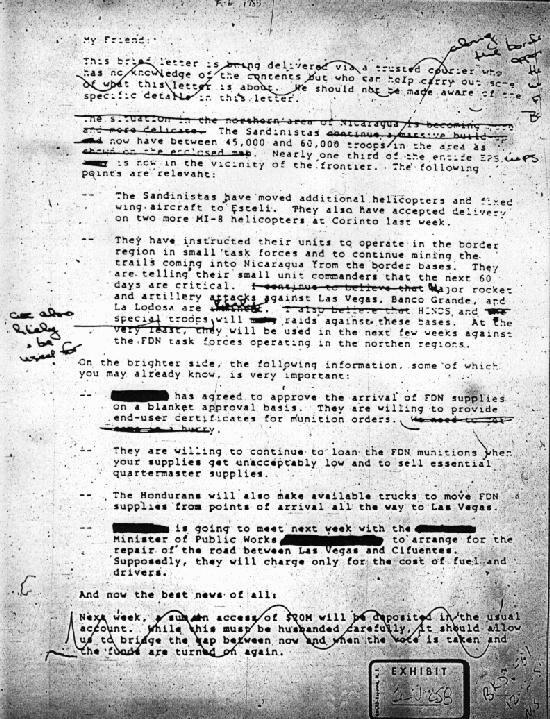 Later release by White House of same document. Both versions are included in the collection.